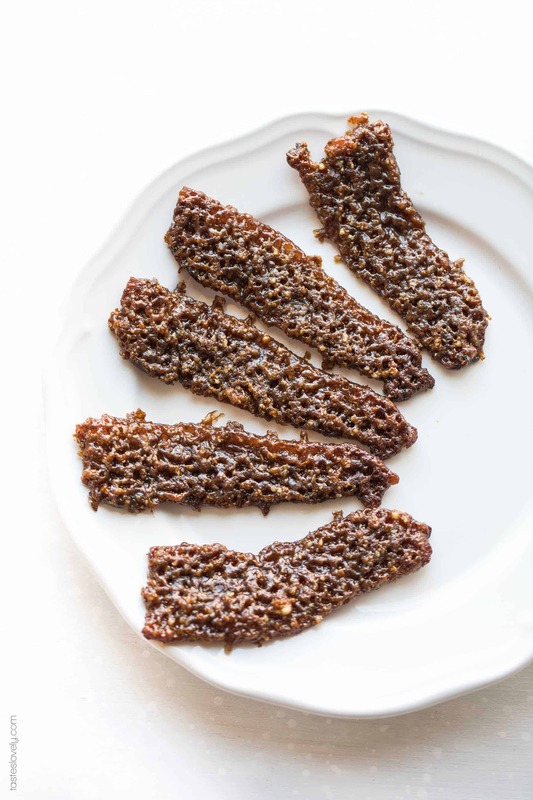 Paleo Pecan Candied Bacon – bacon with a crispy and crunchy pecan and coconut sugar topping. A salty + sweet breakfast treat, brunch side or appetizer recipe. Gluten free, dairy free, refined sugar free. My absolute favorite treats are always salty + sweet. It’s the best combination! My paleo almond butter cookies, my pale & whole30 bacon wrapped dates, and my homemade kettle corn are always some of my top cravings. 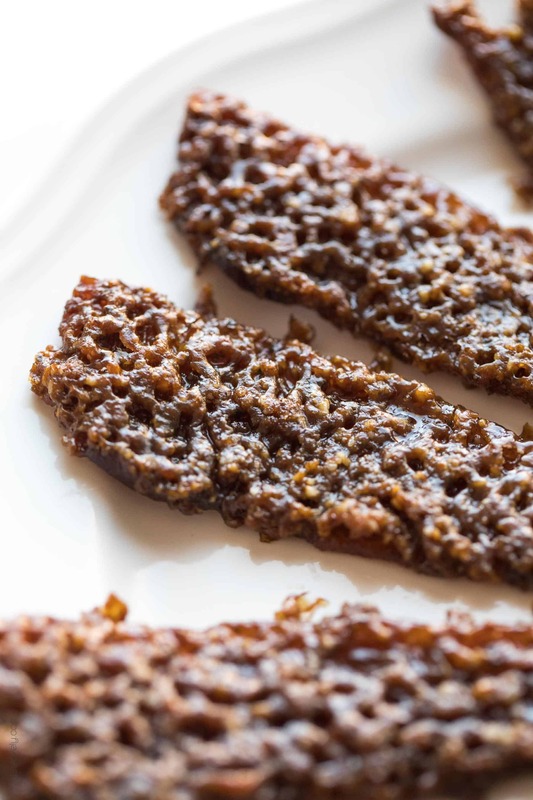 But this Paleo Pecan Candied Bacon is a very strong contender to be the favorite. 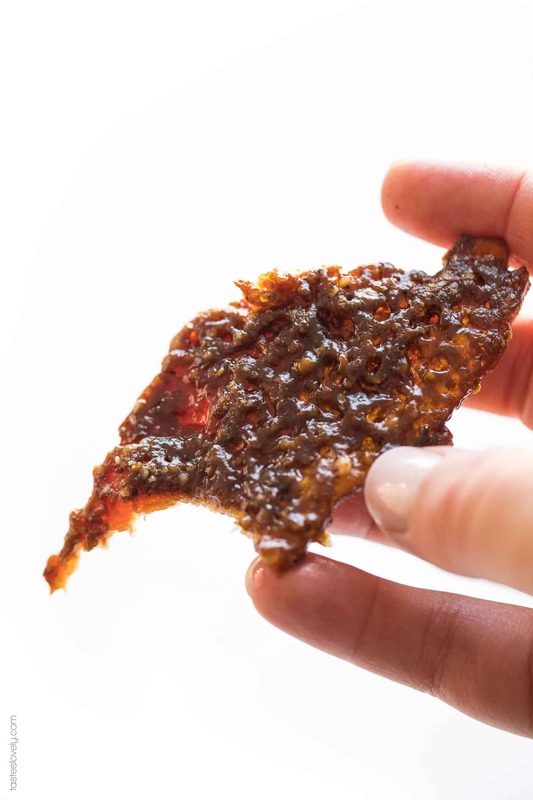 Have you ever had candied bacon before? Ah! It’s so good! If you’re like me and always dip your bacon into the maple syrup when you have pancakes or waffles, this is the recipe of you. 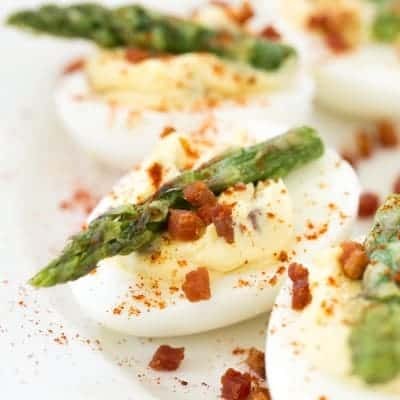 My aunt makes this every year for Easter brunch, and it is my very favorite part of that whole meal. I’ve tweaked her recipe to make it paleo friendly, and it is just as delicious! And I know, even though this is paleo it’s still not the healthiest thing to be eating. 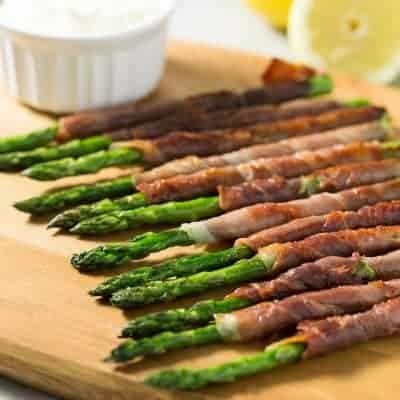 I wish my diet could consist of candied bacon all day every day, ha! But I make this just on special occasions, and I think it’s important to indulge (as cleanly as possible) and enjoy life. 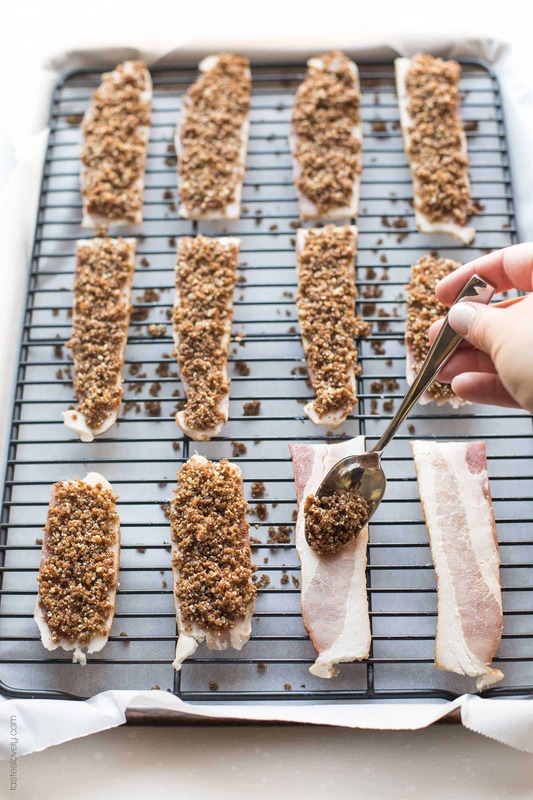 You top the bacon with a pecan topping which is made of pecans, coconut sugar, pure maple syrup, salt, and a tiny bit of cayenne pepper. It’s not spicy at all, it just gives it the tiniest hint of a kick. 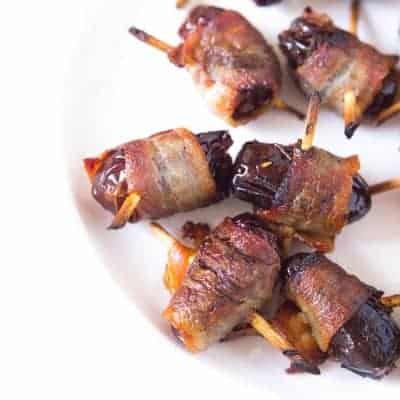 You then roast it in the oven, and the finished product is thick, flavorful bacon topped with a sweet and crunch coating. It is so good it is hard to eat just 2! I wish you could reach through the screen and try this. It is beyond delicious! I like this best served within 4 hours of making it. I find the coating loses it’s crispiness after that. It’s still flavorful, but just not as crispy and good. 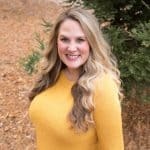 Even though I love a recipe that I can prep the day before when having guests, this is one that I will make the day of because it is so much better the day you make it. 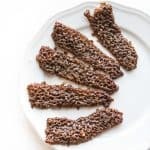 But this paleo pecan candied bacon would be equally delicious served as an appetizer with some mixed nuts and white wine. I can also enjoy it semi guilt free (again, not every day! just special occasions!). It’s paleo, dairy free, gluten free, grain free, refined sugar free. Preheat oven to 350º. Line a rimmed baking sheet with parchment paper or aluminum foil (for easy cleanup), and set in the wire baking rack. 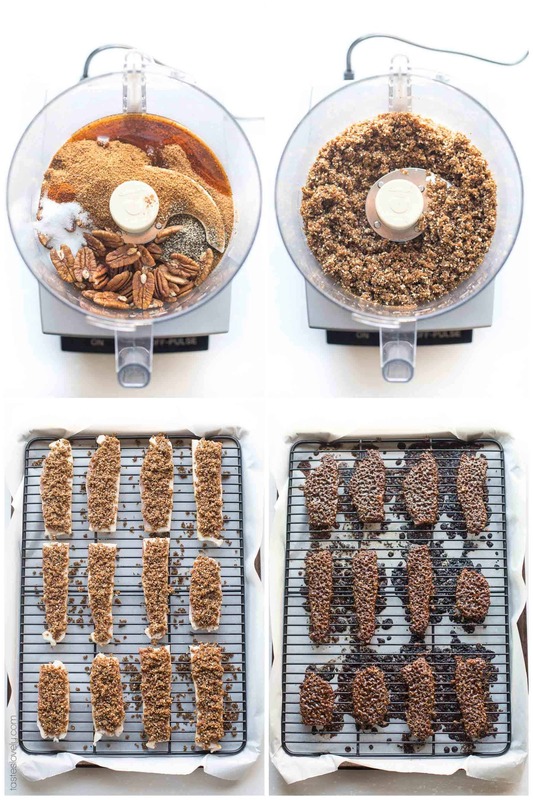 In the food processor, combine the coconut sugar, pecans, maple syrup, salt, pepper and cayenne pepper. Pulse until it is finely chopped. Lay the bacon out on the wire baking rack, spacing out the bacon so it isn’t touching. Spoon on the sugar pecan mixture in an even layer on top of the bacon. Bake in the oven for 30-35 minutes, until the topping is very brown. Remove from the oven and allow to cool on the wire rack. Transfer to a plate and serve at room temperature.